At the close of each year, it can be hard to keep track of all the special holiday and New Year’s sales and bargains. You’ve got Black Friday, then Cyber Monday, the lots of last-minute Christmas sales. Next there are the after-Christmas deals as retailers unload their excess inventory. There’s Boxing Day in the UK. In the USA the sales shift into high gear as soon as the holidays end, especially for high-tech gadgets and electronics. One of the most sought-after items is the Amazon Kindle. But now, if you want a top-of-the-line Kindle Oasis, and you act soon, you can get one at a dramatic 25 percent discount. This is a limited time promotion. If you do a trade-in, it needs to be completed by December 28th, 2018. The bonus 25% discount deal will expire February 28th, 2019. The bonus 25% savings can be used only toward the purchase of qualifying Kindle e-readers that are shipped and sold by Amazon Digital Services. You cannot apply the 25% discount to buy a used Kindle, or to buy from dealers other than Amazon. You cannot combine it with any other offers, and you can only use the discount once. But if you want to combine a balance you have on an Amazon.com Gift Card to help pay for the new device, that’s permitted. That also means that if you do a trade-in and get an Amazon Gift Card for the value of the trade-in, you can apply that to your Kindle purchase. The 25% promotional discount toward a new Kindle pertains to all eligible Kindle trade-ins. Let’s say you trade in your old Kindle and are given a $50 Gift Card in exchange. (By the way, most trade-ins will be accepted and exchanged for value of between five bucks and about $70 bucks). Next, you take advantage of the 25% discount by picking out a Kindle and putting it into your Amazon shopping cart. The discount will be automatically applied to your purchase at checkout. You can use the qualifying discount to buy a basic Kindle, a Kindle Paperwhite, a Kindle Voyage, a Kindle Oasis, or even a Kindle for Kids Bundle. Let’s say you pick a Kindle Oasis with a list price of $249.99. The discount of 25% would knock what you owe down to around $187. In our example, of a $50 Gift Card for the trade-in, the final price tag would be $187 minus the $50 if you use the gift card. The bottom line is that would mean you snagged an Oasis worth about $250 for $187 minus $50, or only about $137. That’s a great savings. There are also reports of consumer who trade in old Kindles that don’t even work any more. They don’t get paid much for the trade-in, but once the trade is approved they buy themselves a brand new Kindle, taking advantage of the huge 25% discount. Some people say they even go to yard sales, eBay, or flea markets to buy a really cheap Kindle. Then they trade in and use the 25% discount to still come out way ahead in the transaction with a significant amount of net, bottom-line savings. The Amazon Trade-In program allows customers to receive an Amazon Gift Card in exchange for hundreds of thousands of eligible items including video games, Kindle E-readers, books, and more. The process is easy and convenient with an immediate offer and free shipping. Depending on your location, trade-in items may take up to 10 business days to arrive before they are processed. Once your item is received and appraised, you’ll receive an e-mail notification within 2 business days informing you whether your items were accepted or rejected. There are no fees, and no cost for shipping. You just print out a free shipping label with shipping already paid by Amazon. You can even initiate the trade using your Amazon app. If your item is not listed in the Trade-In Store, Amazon’s not accepting those trades. But they change the list of items often, so you can check back in later to see if your item qualifies. The gift card value is based on the device model and condition, which is displayed upon checkout and will be verified upon device receipt. Holiday shopping can be lots of fun. Unfortunately, it can also be a source of stress. Everyone is well aware of the pressures that accompany end-of-year holiday shopping. Most people have heard about or experienced crowded malls and aggressively competitive consumers. Even if you shop online,you may feel the anxiety of trying to snag just the right gifts before they sell out and are no longer available. All of those kinds of tension and worry undermine the genuine spirit of the season. Plus, if you overspend your budget, you can wake up after celebrating New Year’s Day feeling the unhealthy strain of burdensome debt. Still, it’s only natural that you really want to buy wonderful gifts for those who are your family members, friends, and loved ones. That’s why holiday shopping for most people has the potential to become a real dilemma. The good news is that there is a kind of innovative gift, called the E-Go Library, that ticks all the right boxes. It’s easy as pie to buy and sure to satisfy everyone on your gift list. You are probably aware of those little devices called thumb drives, that plug into a USB port on a computer and act as little portable storage units. Much smaller than a typical hard drive or even a portable hard drive, a USB drive or “flash” drive can still hold tons of data. That includes e-books. In fact, a single USB drive, which is about the same size as a pocket lighter, can easily hold an entire personal library. That means that once it’s loaded, you can carry a full library in your pocket. You don’t need Wi-Fi to read those e-books, and you can plug them into any device capable of reading an e-book that has a USB port. Go to the beach, out in the woods, or to the North Pole. Since there’s no need to connect to the internet, your library will be instantly accessible and ready to read. They’re called “E-Go” because they are e-portable and convenient for travel. You don’t even have to download all the different titles and then load them onto the thumb drive, because they come to you already pre-loaded. Each of the bundles or libraries has already been specially curated just for you. All you do is pick which of the vast collections of books suits your reading preferences – or those of your gift recipients. Each collection holds a lifetime of reading pleasure, knowledge, and fun, because one USB drive from the E-Go Library holds approximately 1,000 different books. You can select from 40 different genre categories, based on the topics and authors you or your gift recipient enjoy. 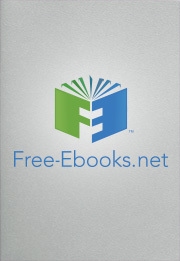 For just $79, for example, you can receive an 8-gig E-Go-Library that has 1,000 of the most popular titles. Plus, as a bargain bonus, you’ll also receive 250 classics, divided into two volumes. The E-Go Library can be shipped to you anywhere in the world, and the shipping is absolutely free. Or you may want audio books instead, which can be listened to anywhere – even while driving in the car. There are two volumes of full-length, unabridged audio book titles to choose from, for just $79 apiece. Each of them holds more than 500 hours of listening pleasure across 125 unique e-book titles. They are narrated by professional audiobook voice actors, and recorded in versatile mp3 format. Order one or get both for a total of 250 different audio books. There is also a specially curated kids bundle for $79, which contains 125 audio books carefully selected for young readers. When you order an audio book E-Go Library, you also get free Apple and Android apps to let you listen across multiple mobile gadgets. No matter their age or what they are interested in, a personal library of books or audio books is a fantastic, very personal present for any reader. It’s also one that they’ll use all year long, and year after year. When it comes to price, it’s an incredible gift, because 1,000 traditional books would cost tens of thousands of dollars. Even that many e-books might cost over $1,000 – and that doesn’t factor in the time and effort it would take you to download them and figure out how to transfer them to a portable drive. That makes an E-Go Library that you can fit into your pocket the ideal stocking stuffer. Is Listening to a Book the Same Thing as Reading It?